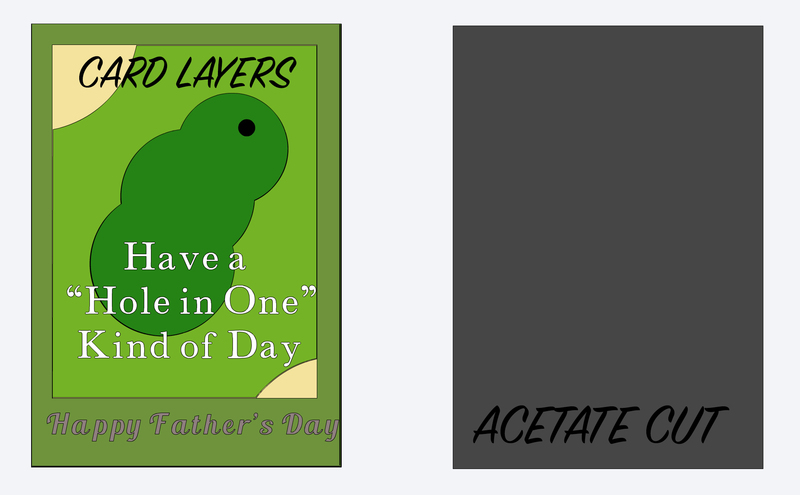 So I originally designed this adorable Golf Game shaker card for Father’s Day, but I figured someone might get use out of it any day of the year. It was designed directly in Cricut Design Space and is available to grab and save to your projects. Layer 2 – Light Green Craft Foam, then fit Dark Green Craft Foam in the cut out made for it.